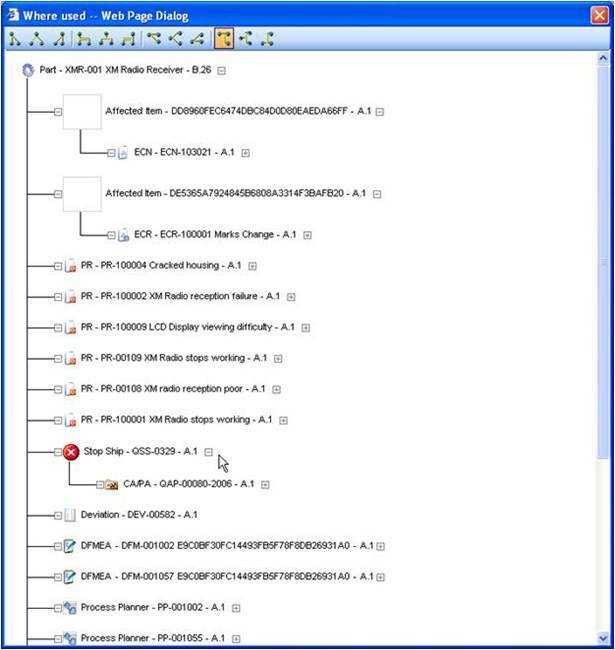 MarcL: PLM solutions should allow users to select and delete part structures, including the links to other parts and data objects. The solution should allow the use of structure building facilities, including structure copy, copy with modifications, etc. Modern PLM solutions must also allow users with appropriately granted authority to create and modify product structures for the product item types for which they are responsible. How does Aras address these requirements? Peter Schroer: Editing of configurations is a standard Aras Innovator function. The Aras terms configuration and relationship are the higher level abstractions supported by the model-based framework. Part Structure or the Part-Document links are example instances of Relationships. As an example of the flexibility of the Aras framework, the permissions model supports 2 access rights schemes for configurations such as product structure. In one model, the user must have Update rights to the parent object, such as a Part, in order to modify links to items such as Documents. In the other model, permissions can be assigned that allow manipulation of certain configuration items such as links, independent of the rights to Update the parent item. 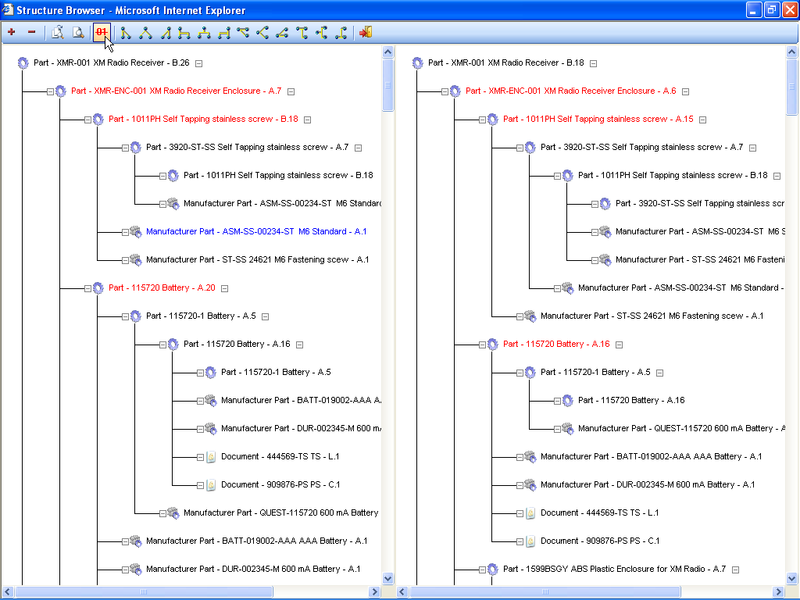 The standard Aras framework supports several structure building tools. This includes copy as links where the sub-structure is shared, and copy as instances where the substructure is copied as new instances. This allows for modification without changing the source configuration. 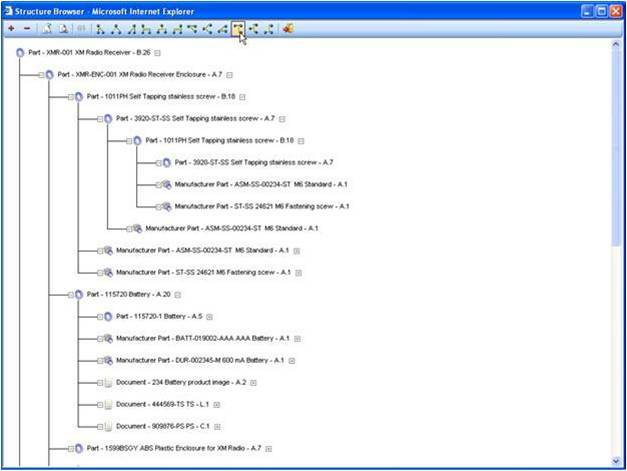 In addition, access rights management in Aras Innovator resides on each business item for each end-user. The rights controls for permissions include Read, Update, Delete, Create, Discover and Change. If a user has the rights to Change product structure, which is the Update permission on the parent item, then the same user interface that is used for navigating and viewing product structure is also the interface for creating and modifying structure. This is standard in Aras Innovator. Aras recognizes that different classes of users; i.e. different roles in the organization, will have different use cases for seemingly the same transactions. For example, adding a Specification to a product structure. While some users might be Specification centric and would think of linking the Specification to all the Products it impacts, other users are product centric and will create a link to the one Specification that defines their product. In this example, one view is top down while the other is bottom up. The Aras best practice to accommodate both is to create “application specific user interfaces” which are analogous to roles-based special-purpose interfaces. This enables you to select the technology that best matches the use case scenarios of different roles in the organization. End-user acceptance of a corporate PLM system is absolutely critical to ensure accurate and timely data. Application-specific interfaces are the best method of ensuring that real end-users can interact with the PLM efficiently. Tools and training for creating role-based interfaces and maintaining those interfaces over time are available. MarcL: PLM solutions at a minimum should provide Version tracking for the most recent released revision and previous revs with date/time stamps. A new version should be based on an update of the PLM database which should occur whenever an item is checked into the PLM solution, and also should occur when the user initiates an update, but typically does not need to coincide with the user saving changes on their local disk. Aras internally used the terms Major_Rev, Minor_Rev and Generation. The “Version” and “Revision” are just labels that do not impact the underlying web services behaviors. In our experience, everyone calls it something different; it’s the defined behaviors that are important. CMII revision behaviors are supported by the standard out-of-the-box Aras configuration. All edits, whether work-in-process or formal releases are tracked in Aras Innovator (these are the Generations), and your company decides which of the increments are exposed to which users. Once a File is checked-out, a Generation is reserved, and that user can make multiple edits which are saved to disk without bumping the Generation. This Generation behavior is configurable and for security intensive scenarios can be set-up to log every save, but the default settings allow local saves that are not recognized by the PLM system. Or check out the Posts Tagged ‘Revision & Version’.